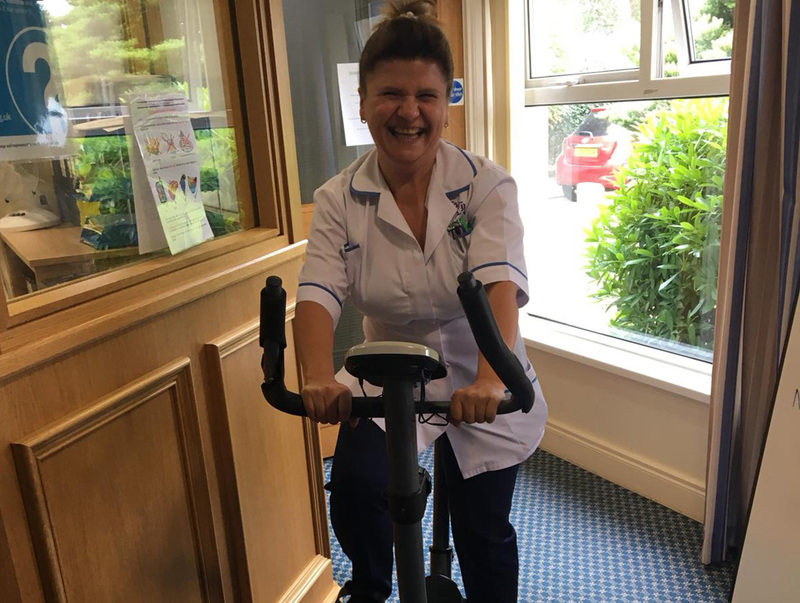 Clareview Staff and Visitors Complete the Hutchinson Care Homes Cyclethon for Charity. Yesterday Clareview staff and visitors completed the Hutchinson Care Homes Cyclethon for charity. We chose to support Mindwise, a local mental health charity with a branch here in Ballyclare, offering support and help to local people. The staff and visitors were extremely competitive as we set off to achieve our target of 50 miles. We reached our target by 4pm, to which our bums were very thankful! We had aimed to raise £250, and although we are waiting on final figures, we have exceeded this amount and are delighted by the support of staff and relatives. Huge thank you to everybody to supported us – to our Administrator Paula Hyde who raised the most sponsorship and organised the bike for us, our Nurse Florina and Cook Grace who cycled the furthest, and to Cassie Montgomery our youngest volunteer! Same time next year everyone?